Just Romantic Suspense: WHERE DID THE CHARACTERS COME FROM? SABRINA WATKINS: On vacation we received a phone call from our dog sitter and my husband mentioned that would be a good vocation for someone trying to lay low. Great idea. My heroine would hide from the men trying to kill her by house and pet sitting. It made sense that pet boarding was her background…and that developed the villains. JAKE CRAIG: On a bike ride at White Rock Lake, we passed a section of park and the first thing that popped into my mind was that it would be a perfect place to find a body. So my hero needed to be a detective. I asked a friend's husband (long-time police officer) if there was something that would make the other detectives resent him--since my detective needed to work alone. And Steve mentioned that retired military received promotions sooner. So my hero was a Marine. The rest of his story fell into place easily. DALLAS: The black Labrador was originally called Bear in the proposal. I own black Labs and Dallas was a special pup--but she had several problems. She began life with Puppy Strangles, blind in one eye, small for her age, and unexplained seizures. And despite all of these problems, she was fearless and loving. We lost her to a seizure while I was writing THE MARINE'S LAST DEFENSE and I had to change the name and personality of the pup to be like her. THE CONNECTION: I needed a reason for the hero to want to help the heroine. A dog. Her love of animals, especially the hard-to-place Dallas, tugged at his heart--even though he didn't want it to. He pushed farther into the bushes, conceding that the only way to get the dog loose was to get wet himself. The poor mutt shivered hard enough to knock his tags together. He slipped his hand around the dog collar and tugged again, receiving a louder howl and whimper. The pup made a unique noise halfway between a howl and whine. The woman frozen to the ground a couple of feet away was dead and had been most of the night. He’d seen the dead before. Many times over and under too many circumstances to remember them all. He didn’t want to remember. Have you ever been stranded in the snow or just stranded? Have I been stranded... not really... one time had my car conk out on the way home at night... had my mom with me... long stretch of road with no lights... very little traffic back then... luckily a woman came along and offered to help... she jumped our battery and it was enough to get us home. My daughter and I have been stranded outside of Joplin Missouri. Scary feeling when a man pulled up to help. "Just crack the window to talk to me," he said. Told us he was working on a big rig up the road. Took a look under the hood, saw the problem, went for the part and came back to fix the Jeep. Congrats on your new release Angi! Loved reading this story and Dallas stole my heart. I've been very blessed by always having car trouble when it's sitting in my driveway. But several years ago there was one time a ran out of gas on the expressway. Many fast cars and trucks sped by honking or whistling. I decided to walk to my mothers apartment, which was only 2 miles away. As I walked, two different cars stopped and offered a ride. I thanked them, but just kept walking. Sometimes having a lot of people around can be as scary as having no one around....smile. Glad it's almost always in your driveway! 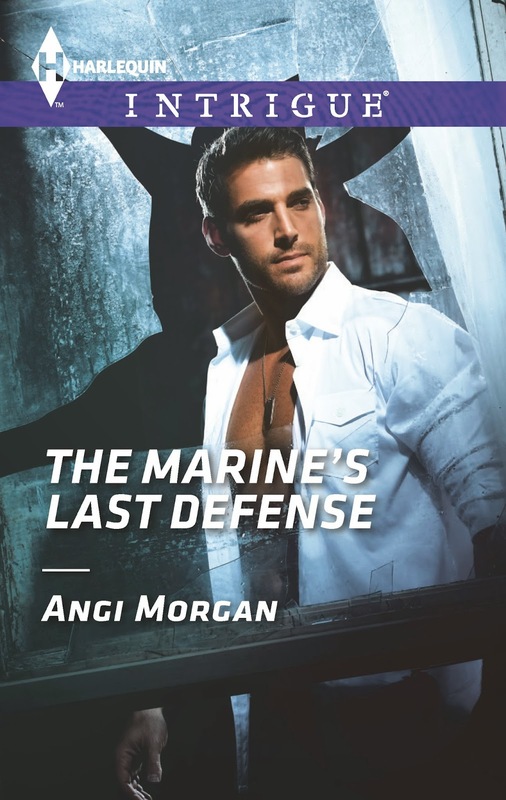 Congrats on another great story Angi! I've been stranded in an ice storm on a freeway over night. There was about 30 other cars with me so it didn't feel too lonely, but we were sure happy to see the sun come up so the products that the highway dept put down would work on the ice! Hi Angi! Congrats on another great story! I've been stranded in an ice storm over night. I tried to make it home after work and would except there were to many other non-winterized cars blocking the roadway. There were about 30 of us stuck so we weren't 'alone'. But it was nice to say goodbye when the sun came up and helped the salt melt the ice. That must have been an experience !! I've never been stranded as such, but a few years ago the entire town was cut off by raging floods. Everything is trucked into town, but for 10 days we had nothing going in or out. I've seen that one shows. It must have been unreal. A few years back we had a pretty big snowstorm. We got almost 8 inches of snow and although that's not too much for some people, for WV it is. We lost power for almost a week and it was awful! We ended up staying with my parents who had a generator and even tho it was rough, we had a pretty good time! Congrats on the new release!! I cant wait to read it! I think my husband had the hardest time going without electricity for a few hours...no coffee. LOL We stayed warm with the fireplace, thank goodness. My brother and I was stranded on the Highway 40 in the middle of Texas. We didn't have any phone reception. Not one car has stopped and asked if we needed help. It was almost two hours before a car did stopped and help us called for auto service to tow us to the nearest tire shop. That could not have been pleasant. I40 is through the Panhandle and is pretty sparce.